So I have some really exciting news! 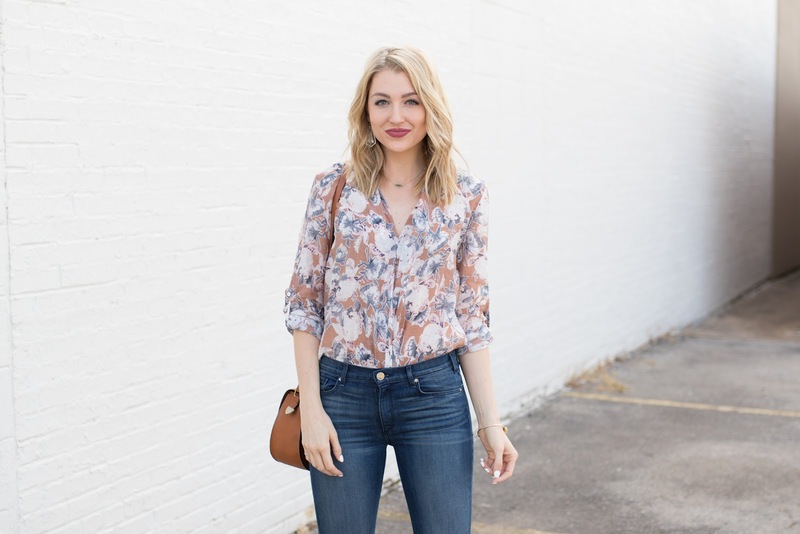 I was chosen to represent Missouri as part of Maude Boutique's new national #MaudeSquad! So, I'll be styling something from their shop every month for the next year. 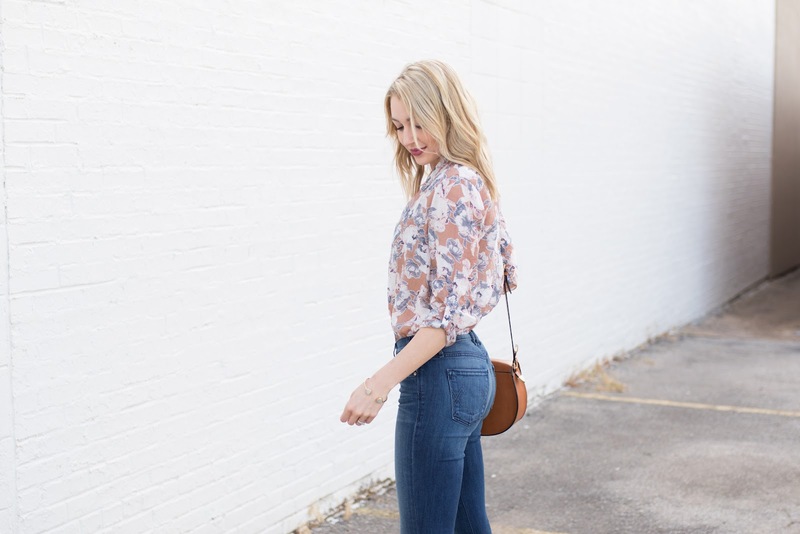 It's no secret that Maude was already one of my favorite stores (you can see all of my posts here), so I feel that this is such a great fit for me and for you guys too (because a lot of girls have told me that they've ordered from there!). I can always count on finding unique pieces on their site that are a good value. Plus...free shipping is the best thing ever #amiright? 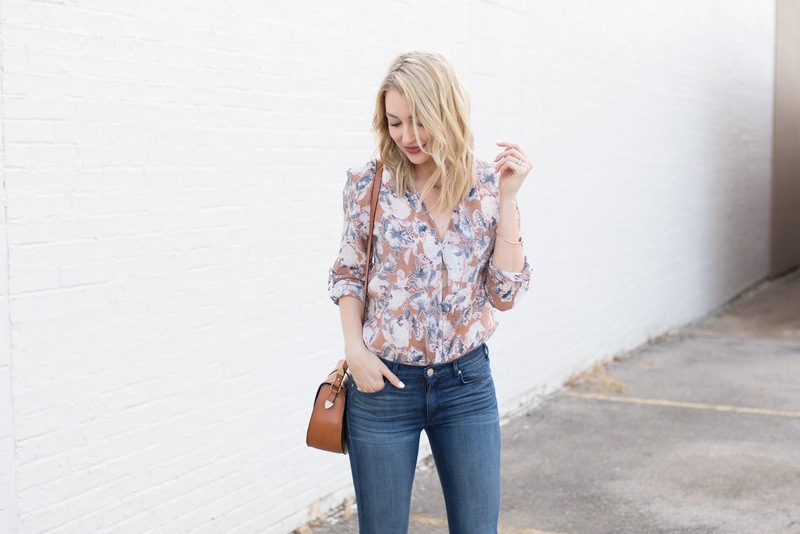 I loooove this floral blouse. It's a really lightweight, breezy fabric that will be perfect all summer long, and is just $35, so grab it quick! I've also gotta talk about these jeans. I'm new to the brand McGuire Denim, but based on these flares I'm now a huge fan! I swear this is the softest denim you will ever feel, yet the fit is still perfect. I love the rise - high-waisted, but not too high-waisted - and the fact that they're super long on me even with heels (tall girls, these. are. your. jeans!). One feature that sold me is the raw hemline. 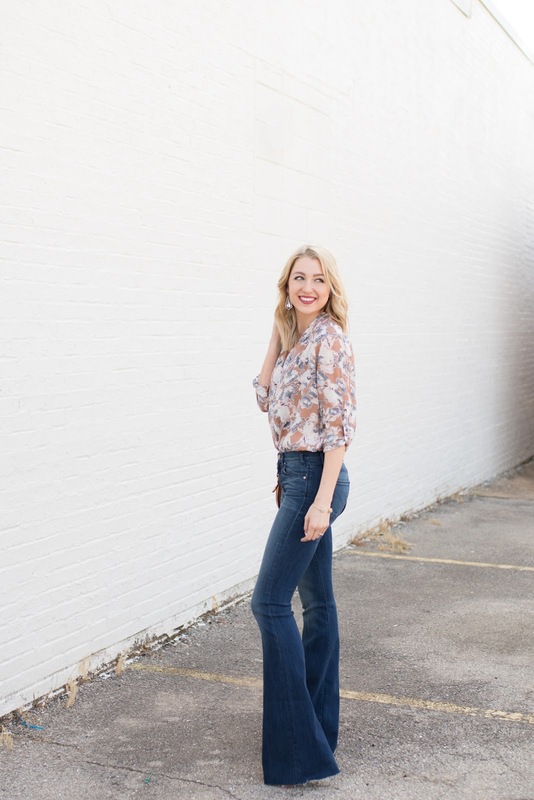 I just think it gives the jeans a little more edge, and they even come with a tag saying that you can trim the hemline to your desired length! How cool, right? I hope you're having a great week! Thanks for stopping by!